Video clip synopsis – Civil rights activist Faith Bandler has made an enormous contribution to the peace movement and indigenous politics. Warning: ABORIGINAL AND TORRES STRAIT ISLANDER VIEWERS SHOULD EXERCISE CAUTION WHEN WATCHING THIS PROGRAM AS IT MAY CONTAIN IMAGES OF DECEASED PERSONS. Broadband MP4 bandref_bb.mp4 (4.4MB), suitable for iPods and computer downloads. Faith Bandler – Activist is an excerpt from the program Faith Bandler (26 mins), an episode of Australian Biography Series 2 (7×26 mins), produced in 1993. Faith Bandler: Born in NSW in 1920, Faith Bandler is a descendant of South Sea Islanders. During the 1950s, she became involved in the peace movement, and in 1956 was instrumental in setting up the Australian Aboriginal Fellowship. In 1974, Faith decided to direct her energies to the 16,000 descendants of South Sea Islanders and, in 1975, made her first emotional journey to her father’s birthplace on Ambrym. Australian Biography Series 2: The Australian Biography series profiles some of the most extraordinary Australians of our time. Many have had a major impact on the nation’s cultural, political and social life. All are remarkable and inspiring people who have reached a stage in their lives where they can look back and reflect. Through revealing in-depth interviews, they share their stories – of beginnings and challenges, landmarks and turning points. In so doing, they provide us with an invaluable archival record and a unique perspective on the roads we, as a country, have travelled. Australian Biography Series 2 is a Film Australia National Interest Program. Faith Bandler’s involvement in promoting the rights and interests of Indigenous Australians as an activist first started when she co-founded the Aboriginal Australian Fellowship in 1956. This group led the campaign to abolish the NSW state government-controlled Aborigines Welfare Board in 1969. The Aborigines Welfare Board was established in 1883, originally as the Aborigines Protection Board. Through the powers granted to this Board, Indigenous children were separated from their families and sent to missions, schools, farm stations and reservations. These children are some of those now known as the ‘Stolen Generations’. With the exception of Tasmania, each state and territory had similar boards. The removal of their children was just one of many discriminatory practices that impacted on Indigenous people. Other inequalities included unequal pay, no recognition of land rights, racial prejudice and unequal citizenship rights. Under the Australian Constitution, the federal government had no power to make laws relating to Indigenous people. This was left to the state and territory governments, each with their different laws, policies and prejudices. 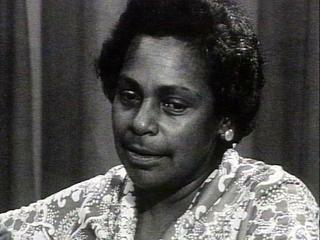 From 1957, Faith Bandler was instrumental in the Federal Council for the Advancement of Aborigines and Torres Strait Islanders’ campaign for a national referendum to change the Constitution. There were two main changes requested. First, that Indigenous people be included in future national censuses. Secondly, that the federal government be granted powers to legislate for Indigenous people. Almost 91% of voters accepted these changes in 1967. The federal government had campaigned for a “Yes” vote on the basis that the entire parliament was in favour of the changes, while others pressed for a “Yes” vote, arguing that the changes would present the image of a non-racist country in the eyes of the rest of the world. However, it was not until 1972 that the benefits of the referendum were felt by Indigenous Australians. In January of 1972 the erection of the Aboriginal Tent Embassy on the lawns of federal parliament drew attention to the lack of progress on land rights and racial discrimination issues that included the existing lack of equal pay for Aboriginals in employment. These demands became a political issue, and almost immediately after the federal election later in that year, and a consequent change in government for the first time in 23 years, the move for reforms began in earnest. Describe the way in which Aboriginals were controlled and governed in Australia immediately before the 1967 referendum. Comment on the situation Aboriginals had to live with if they crossed state borders. How did this compare with the situation for newly arrived immigrants to Australia? Define the way(s) in which the 1967 referendum could possibly alter the status and the lives of Aboriginal people. Drawing on Faith Bandler’s comments in the video, plus further research, dramatise the situation for Australian Aboriginals in the era leading up to the 1967 referendum through a fictional short story of about 500–700 words. You may wish to discuss the possibilities for plot, theme, characters and settings in class first. As a class carry out background research on how to construct, phrase and present a written petition to government, where a request is made for change to the federal constitution. Imagining that the time is prior to 1967, follow this up by creating a petition for a referendum to alter the way Indigenous Australians are governed in law. This petition should be produced on poster display paper. You are to piece together a two-page magazine spread about the history and the consequences of the 1967 referendum. Working in pairs, look at how the referendum was initiated and who was involved in campaigning for it, the specific referendum proposals as worded, the results of the referendum on a state by state and territory basis, the changes that took place as a result of the referendum, and whether Aboriginal people and the Australian community in general have since benefited from it. Use desktop publishing software.